Sarcasm and commentary, as the show plays. Here is the archive of what I said on Twitter. 0:01: Hey! It's the Red Man Group! 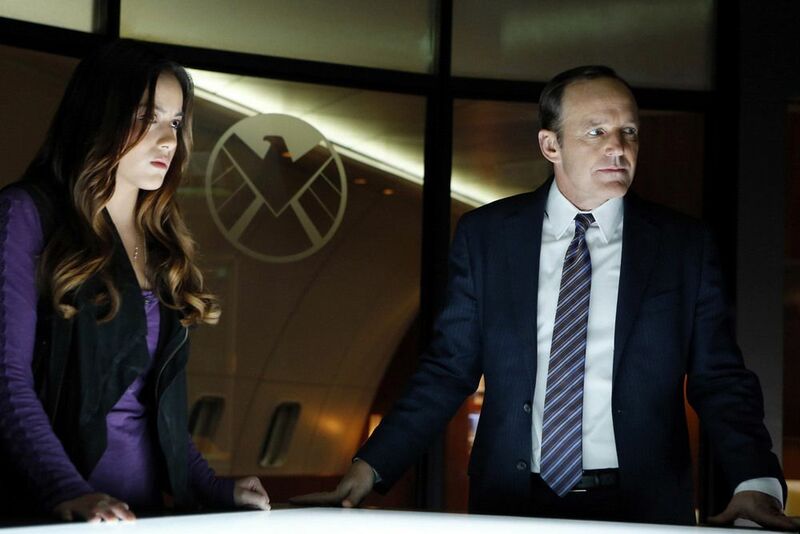 0:04: How soon until Agent Coulson starts asking "Are we there yet? 0:08: I wonder how many spies actually DO thank the techies for Facebook making their jobs easier? 0:29: I think the honeymoon is officially over. And here I thought the show just wasn't clicking for me. 0:35: Nice to see Coulson getting some development. Wish they'd do this for the rest of the cast. 0:45: Looking back over all this, I haven't really said much about the show. Says it all, doesn't it? 0:50: They even put SHIELD logos on the labcoats! I call shenanigans on this secret spy organization! 0:51: There is something very Clark Kent about Agent Ward in glasses. 0:53: And the obligatory hint that Coulson is not Coulson. 0:55: Okay. I DO like Skye calling Coulson AC because it sounds cool. Ha! AC! Cool! 0:58: "When evil villains have superpowers...." Not subtle on pushing #OnceUponATime on the @AgentsofSHIELD fans, are they?